Yo, as in YO, a familiar abbreviation to knitters for yarn over. 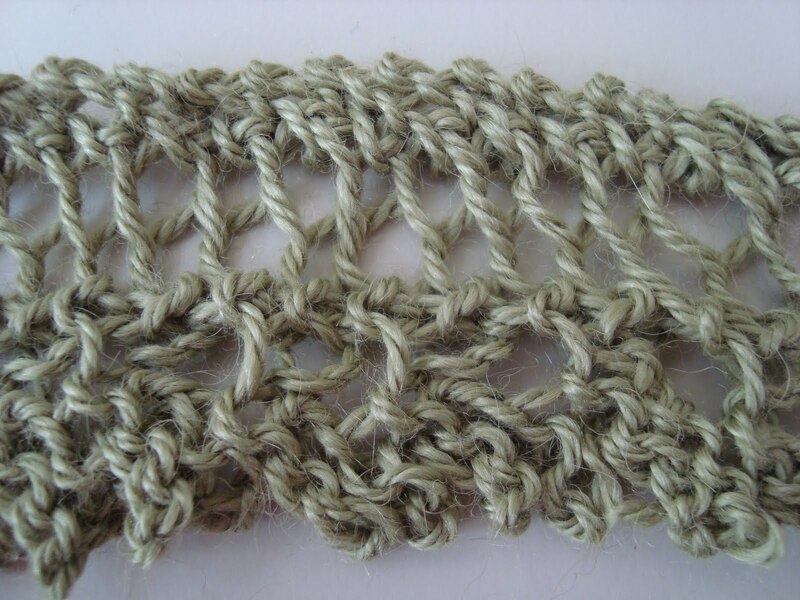 A simple stitch really…just bring the yarn when knitting from the back of the work to the front of the work by going under the right needle and, then, back over the right needle to knit the next stitch. The result is an extra stitch. Sounds so simple, doesn’t it? 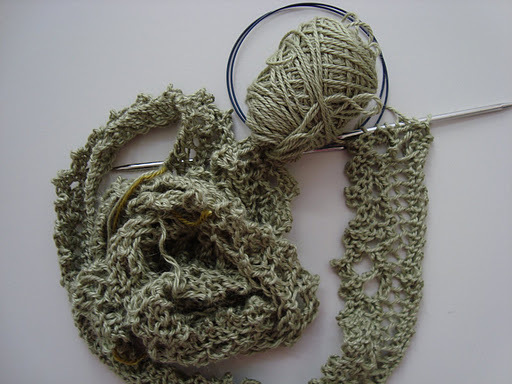 I thought so too until I started the lace edging for Andrea’s Shawl. 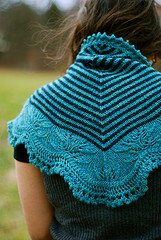 With only 30 or so repeats left, I plan to start the lace portion of this shawl tonight. Then, I’m going to go through some of the patterns that I’ve knit using YO incorrectly and decide if there’s anything I’d like to try again soon to see how the project knits with the correct stitch!